A Driving Test that produced happy tears!! Huge congratulations to Eliza Ellen who has been having Driving Lessons in Torquay and has passed her Driving Test. Kirsten Eliza’s Driving Instructor who works for The Driving School sw said “Today you made me produce happy tears ? It’s been a long road but I’m sooooo very proud & happy for you ? no more buses for you my girl! 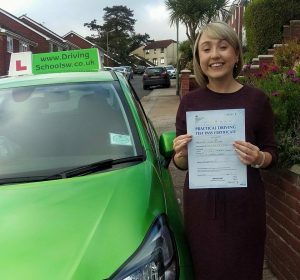 For Driving Lessons in Torquay, Paignton, Brixham, Newton Abbot and surrounding areas call 01803 640697 or visit www.thedrivingschoolsw.co.uk.